‘Me Before You’: An adaptation in the works! 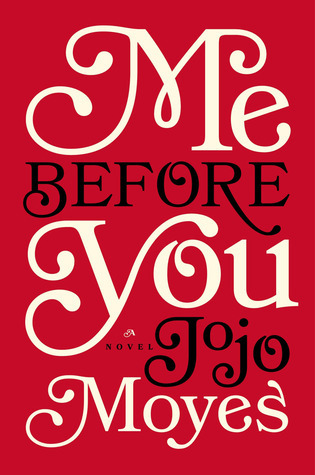 Fans of Jojo Moyes, get excited! ‘Me Before You’ is being adapted into a movie!!! The movie will be directed by Thea Sharrock – who seems very passionate about this project. Writers Michael Weber and Scott Neustadter are said to be working on Ms Moyes’s draft of the script. Emilia Clarke and Sam Claflin are set to play Louisa Clark and Will Traynor respectively. The tentative release date of ‘Me Before You’ is August 2015. Thrilled to confirm we (finally!) have a Will and Lou for the Me Before You movie. Sam Claflin and Emilia Clarke. Who are both AWESOME. Now who’s excited about this book-to-movie adaptation? This entry was tagged Adaptation, Chick lit, Fiction. Bookmark the permalink. I’ve been meaning to read this book – better get to it before the movie comes out!